Talk about a fine romance this Valentine's Day. You see, my own dear Valentine, aka Dearest Hubby, totally surprised me with a delivery from Amazon. Don't you love it when you hear the doorbell and you just know UPS has left a brown parcel in your mailbox? Don't you love the word 'parcel'? Oh boy, oh boy, oh boy, oh boy.............................. Inside was a longed-for copy of Susan Branch's latest book A Fine Romance. It was ♥ love ♥ at first sight. Beautifully bound with a gorgeous red ribbon bookmark, it lays open without fuss. 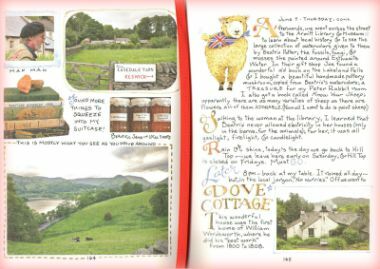 Every page is filled with art renderings and glimpses into Susan's unique style as she shares the trip she and her Joe took to the English countryside. And, it all begins with the very fine romantic story of how those two met. 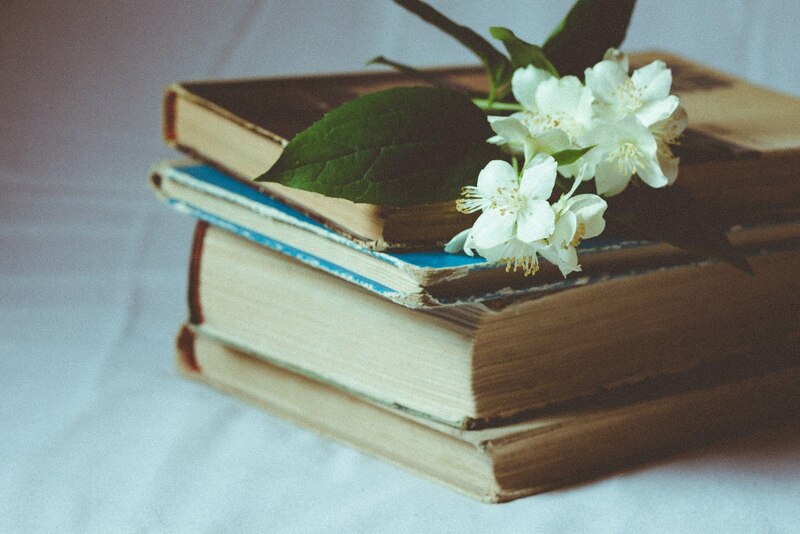 To visiting the homes of favourite authors like Beatrix Potter and Jane Austen, and meeting the loveliest local people, not to mention English woolly lambs, Susan invites her readers 'the girlfriends' to be a part of this grand adventure. And when you read it, it's just like being there. Well, almost. A Fine Romance is magical from cover to cover. 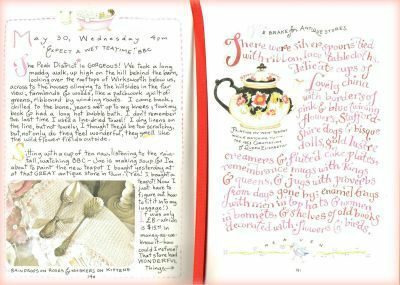 Pages are filled with Susan's photographs, whimsical art, hand-drawn maps, recipes, quotes, not to mention her droll stories and fascinating diary entries. "Because nothing happens unless first we dream." Pack Light - Armchair Travel. Now, if that kind of trip isn't possible right now, remember that packing for armchair traveling is light and easy. 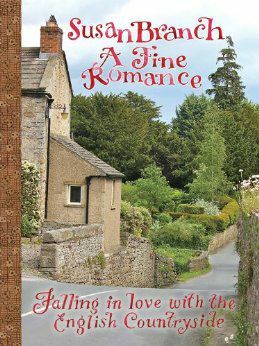 You could ask your own Valentine to send you your own copy of A Fine Romance, Falling in Love with the English Countryside. Lots More On Susan's website. And if the budget doesn't stretch for a book either, then you might enjoy Susan's interview about her new book, or have a fun snoop through the appendix of the book which is also on her website -- it includes live links to all manner of interesting and delightful tidbits about the trip. I've been noticing that my posts (as infrequent as they are these days) don't load into people's blogger reader lists right away. I've checked my feedburner. I did some research online. Seems other people experience this too. It doesn't appear to be a feedburner issue, but a blogger one. So I am sorry about this, but I'm not sure what else to do. What a sweet sweetie you have! I was waiting to see when your post would show up on my dashboard and it did 5 min. ago. (nearly midnight)WEIRD! Thank-you for the book title and link. Just what we need. In the past few days as i did my housework I listened/watched the long version of Pride and Prejudice so I'm feeling quite English-ified right now! Thank you for the recommendation of this book. I will definitely visit Susan's blog and perhaps even buy the book. I wonder if it's available at our local Chapters where I am heading later today (after the Olympics hockey game) to purchase a certain magazine. Lol It is always a joy to hear from you! How very sweet of your hubby. I will put that book on my wish list. 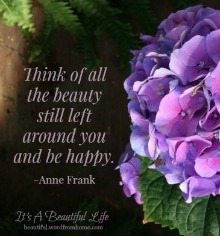 Hmmmm I have a birthday next month....:) I hope your Sunday is peaceful and bright. I was a bit hesitant to buy her book, don't know why but now that you have recommended it...Amazon it is! And not loading up, I will just stop by without notification, because you are way to dear of a friend to miss! A few other bloggers have mentioned this book. I will check it out the next time I am at the bookstore. We are lucky here today it is 69 degrees and sunny, but we drop back into the 30's mid week. Hurry up spring! Oh your hubby was paying attention! Good for him and good for you! Good to see you posting...hope that your time away has been productive. Your voice is missed. Our landscape is shivering under a coat of white this morning, with mixed rain and snow spattering the windows. Not quite -16, but wintry enough. 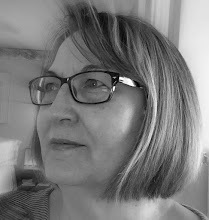 I hope you are enjoying (or perhaps have finished) your English countryside ramble with Susan. Isn't it delightful? I'm ready to read it again. Gah! -16 degrees?? We've had our bouts with sub zero temps here in New Jersey of late - and more this week - but last week the Lord looked kindly on this Nana with her grandbaby visiting and we had lovely spring-like weather all week! Today - snow - and more tonight. Blech. The birdsongs is a good idea - I have some CD's to the purpose. As to your Amazon prize - you'll love it! It was a Christmas gift from my husband - along with the new Beatrix Potter bio which I will be doing a post about by the end of March. Your crocus photo is beautiful! I am beyond ready to see those glorious colors springing forth from the earth. Awesome gift from your hubby! I love that book. It wasn't in my budget, so I checked it out from the library a few a couple months ago. Susan definitely made me yearn for my own trip to the English countryside.